Along with pencils and notebooks, hand sanitizer is on many lists of back-to-school supplies. But in a letter sent to the superintendents of Georgia schools, the Georgia Poison Center says they've "noticed a troubling new trend" -- children drinking hand sanitizer. The problem: consuming ethanol-based hand sanitizers can cause alcohol poisoning. A call from an emergency room doctor prompted Dr. Gaylord Lopez, a toxicologist and director of the Georgia Poison Center, to review data from the nation's poison control centers. In 2010, about 3,600 cases were reported involving hand sanitizer in children under 12, Lopez told CBS News. In 2013, the number of calls increased to 16,117. "And I thought, wait a minute, that's almost a 400 percent increase," Lopez said. Hand sanitizers are either alcohol based (containing ethyl or isopropyl alcohol), or non-alcohol based (containing benzalkonium chloride). The concern for alcohol poisoning relates to the ethyl alcohol, also called ethanol, the letter to Georgia schools said. "The concentration of alcohol in hand sanitizers varies from 45 percent to 95 percent, with the most commonly used in the range of 60-70 percent," Lopez wrote. In contrast, beer contains about 5 percent alcohol, and wine is about 12 percent alcohol. 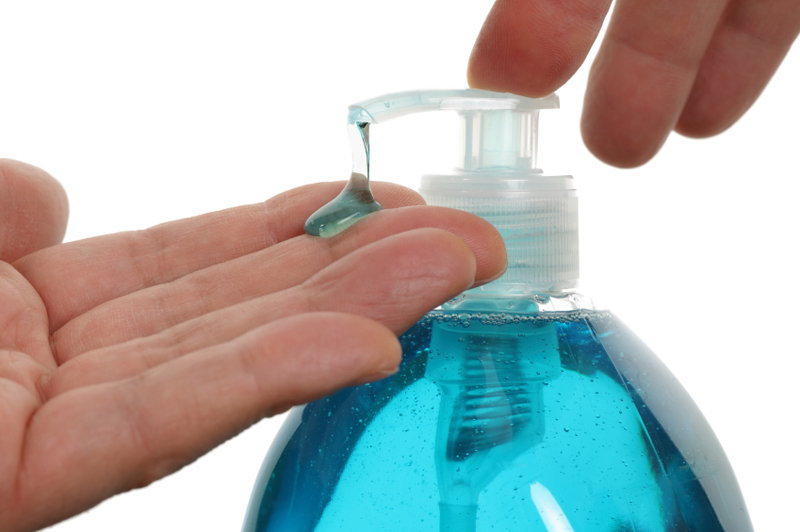 That means ingesting just a small amount of hand sanitizer could put a child at risk. "Depending on the strength of the hand sanitizer, it could take as little as two or three squirts -- you know, a tablespoon full -- and the kid might already start having the symptoms of being drunk," said Lopez. A New York poison control center warns that swallowing as little as an ounce or two could be fatal to a small child. And officials in Texas point out, "The same thing can occur if mouthwash or perfume is swallowed." In one Georgia case reported on CNN, six-year-old Nhaijah Russell swallowed three or four squirts of hand sanitizer at school. She wound up in the emergency room with a blood alcohol level of .179, twice the level considered to be legally drunk in an adult, the doctor who treated her said. Poison control experts recommend that hand sanitizer be stored safely, out of children's reach, and used only with adult supervision. And, they say, teachers should be on the lookout for abuse. Lopez's warning letter noted that while hand sanitizers are intentionally designed to taste bad, "this may not discourage some children from purposely drinking hand sanitizer in order to 'get a buzz,' 'get drunk' or from a dare." Symptoms of alcohol poisoning include confusion, inability to wake up, vomiting, seizures, slow or irregular breathing, and low body temperature or a bluish skin color, according to the National Institute on Alcohol Abuse and Alcoholism. If you think a child has swallowed hand sanitizer, call poison control at 1-800-222-1222. "If parents have a concern about alcohol poisoning, whether it's from hand sanitizer or from other products that contain alcohol, poison control centers are available around the clock," Lopez said.